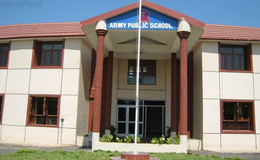 Find below the list of top CBSE schools in Ra Puram - Chennai with phone number, address, 360° School tours, 2018-19 Admission forms & Fees, photos, facilities & more. 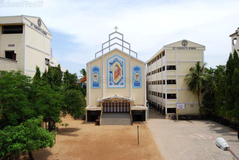 The school strives to strengthen the emotional, psychological and spiritual growth of its wards. We aim to develop students glowing with self confidence, free from prejudices and subordinating their lower interests for the higher interests of the society. There are no more results to display. You may also be interested in other schools of Chennai. Sri Sankara Senior Secondary School is a Co-educational institution and is affiliated to the Central Board of Secondary Education, New Delhi. 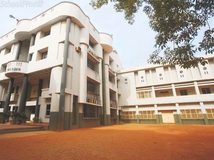 The school at Adyar has classes from LKG to XII std. with a strength of around 2000 students. They are handled by a highly qualified staff and personalized individual attention to the students is the hallmark of the institution. Our mission is to guide our students fulfill their potential by instilling in them the love for learning, enquiry and knowledge. Our Mission Is To Send Out Into The World Children Who Are Confident And Capable Of Realising Their Potential As They Grow, Learn And Evolve Into Worthy Citizens. Under the careful guidance of our certified Montessori teachers, children develop at their own pace and learn that school can be an unending adventure, one that inspires a lifetime of discovery. Chettinad Hari Shree Vidyalayam is managed by the Chettinad Group under the auspices of Gandhinagar Education Society. 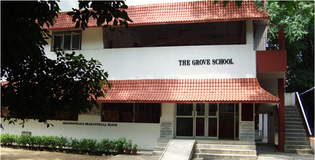 The Gandhinagar Education Society was founded in 1954. From 1956 to the present time, several schools have been built and are functioning as charitable institutions supported by the Chettinad family. Dr. M.A.M. Ramasamy is the president of the society and he continues the society’s committed effort to serve the community. Chettinad Hari Shree Vidyalayam is an abode where knowledge in its manifold forms is imparted. The emblem of Chettinad Hari Shree Vidyalayam is Goddess Saraswati, the bestower of knowledge. The olaichuvadi in her left hand represents knowledge, the Akshara mala signifies spiritual pursuits and the hamsa bird (the swan) symbolizes one’s ability to discern right from wrong. South India is always known to be one of the leading hubs for the quality education system. the city of Chennai earlier known as Madras, emerged as front runner in this regard and having the best schools in Chennai for both primary and higher secondary education. 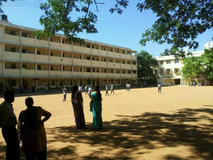 If you check the list of schools in Chennai then you will find there are 100's of schools in this city known for offering best in class education. 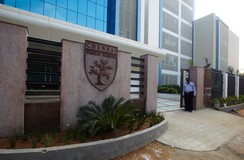 Top schools in Chennai are recognized as the best schools of India. Although there are many top CBSE schools in Ra Puram - Chennai it is not necessary that each one is suited to your child's needs. That is why you need to analyze and consider every factor about the best CBSE schools in Ra Puram - Chennai before settling for one. Sqoolz's list of best CBSE schools in Ra Puram - Chennai makes this job easier for you. Find every detail that is necessary before choosing the right school. You can also take our virtual tour, a feature solely designed to give parents a sense of assurance.